For almost a century, Federal has been manufacturing quality ammunition. 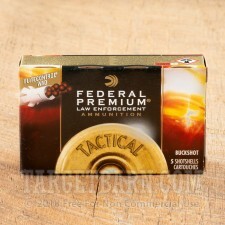 With headquarters located in Anoka, Minnesota, Federal is one of the top producers of American-made ammo. With the company's commitment to innovation, quality, and performance, Federal's Law Enforcement line has become the preferred duty load of law enforcement professionals around the world. This package contains 5 rounds of Federal Law Enforcement Tactical 12 Gauge ammunition. 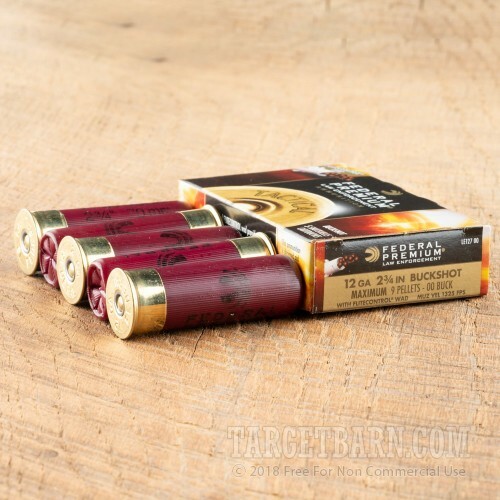 Each of these 2 ¾ inch shotshells is loaded with 9 pellets of 00 buckshot. Featuring Federal's patented rear braking FLITECONTROL wad, these rounds produce some of the most consistently tight shot patterns available on the market today. Unlike traditional wads which disperse shot in a cloud upon exiting the barrel, Federal's FLITECONTROL wads back slowly away from the shot, holding them in a compact formation for a longer period of time. 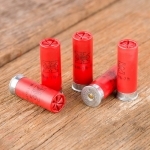 This tactical 12 gauge buckshot is suitable for law enforcement applications, tactical shooting, and home defense. Each round delivers a muzzle velocity of 1325 feet per second and provides some of the most predictable and accurate shot pattern performance available on the market today. We also carry this load in a full case with 250 rounds. 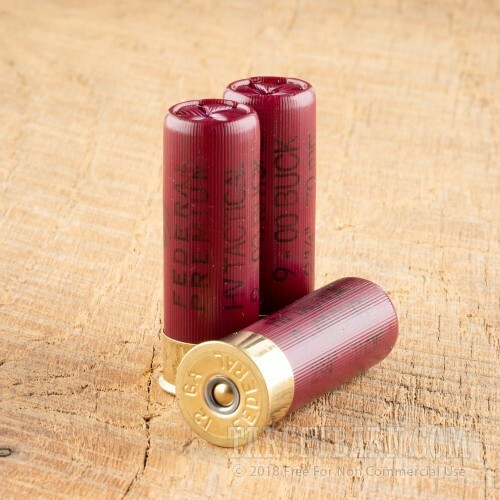 Head here for this Federal buckshot in a 250 round case.